Always follow your heart and take a chance, as it is better to have tried and risk failure, than live in regret. I decided to follow my dreams of going to university and I am enjoying every minute of my learning journey. My name is Iain Scott, I started my journey into higher education at the age of 29 and I am a father of four kids. Leaving school at 16, I followed the traditional path of going straight into a career as an engineer and I enjoyed my time. But, due to health complications, I was no longer able to pursue that career. At 19, with my first child on the way, I was lost as to what to do, my original career path in tatters. I was so lucky when I fell into a job as a Nursing Auxiliary and at the time I thought it was a job. However, this developed into what I hope now is my chance of a career within health services. I have had a variety of support roles within the NHS and my last job was working within schools and nurseries providing support and advice to children on the important oral health messages and advice on basic health eating. This has led to me to undertake the undergraduate degree to become a Dietitian. The BSc (Hons) in Dietetics is my path to a dream career within health services. Without the SWAP access to life sciences programme, I would not have been able to build the confidence and get the chance to go to university, nor would I have had the privilege of being able to experience all that I have during my time at Queen Margaret University. The journey has not been without its challenges, such as coping with studies, my dyslexia, childcare and time management, but the rewards have been amazing. 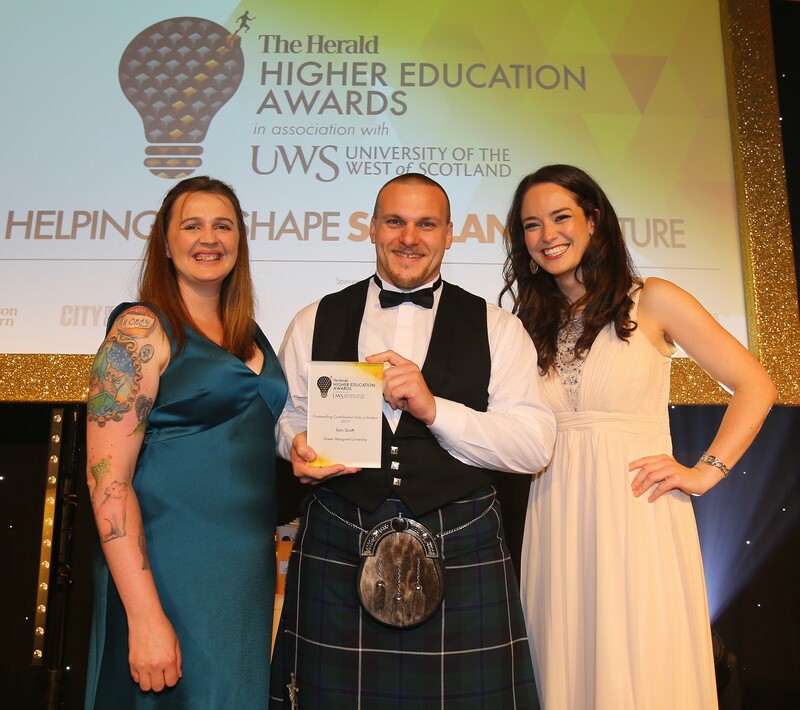 In 2017, I was awarded the Herald Higher Education Award for Outstanding Contribution from a Student; because of my community volunteering and the student engagement work I have been doing whilst studying for my degree. Along the way I have met some amazing people both within my course and out with in the wider university community. I amaze myself that I can balance family life, work life, studying, volunteering and having fun and it’s all possible because of the experience and life skills of being a mature student and having the understanding and appreciation of my place within university. I am truly grateful to SWAP in giving me this chance. Once you are on your access course and on your way to the journey of a lifetime, make sure you embrace every opportunity and never live in fear of what if. Take the chance - it’s worth it! There is always support available if and when it’s needed, all you need to do is ask, and embrace the experiences.